Sorry, couch potatoes, In-n-Out doesn't want you ordering in. 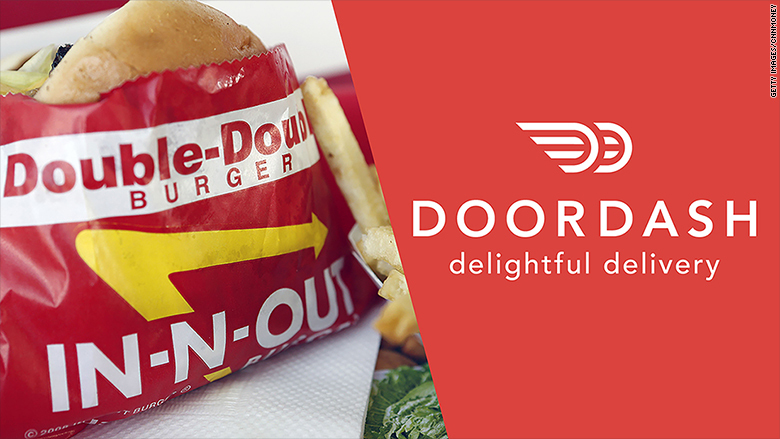 California burger chain In-N-Out has filed a lawsuit against third-party delivery startup DoorDash for delivering In-N-Out food without permission. In the complaint, filed November 6, In-N-Out also alleged that DoorDash has been wrongfully using the restaurant's logo despite having no affiliation to the restaurant itself. According to the filing, In-N-Out sent a letter in April 2014 asking DoorDash to stop using In-N-Out's trademarks on their website and stop delivering its products. While the delivery service did comply initially, In-N-Out was back on DoorDash within a few months. Now, In-N-Out is seeking a jury trial. The gig economy has made room for many delivery services like DoorDash and Postmates. While some restaurants, such as Taco Bell, are embracing the services, others are rejecting the model. Known for its superior quality, In-N-Out expressed concern over how its food was being handled by DoorDash. "[In-N-Out] has no control over the time it takes [DoorDash] to deliver [In-N-Out]'s goods to consumers, or over the temperature at which the goods are kept during delivery, nor over the food handling and safety practices of [DoorDash]'s delivery drivers," the complaint states. Neither In-N-Out nor Door Dash responded to requests for comment. DoorDash, along with Uber, Grubhub and more, had earlier been sued for incorrectly classifying their workers as independent contractors.